Keto Broccoli & Cheese Bites - Nutritious, Tasty and EASY! 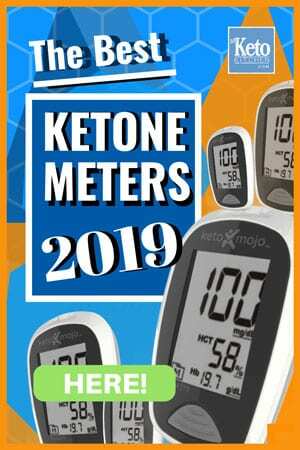 Home » Recipes » Keto Broccoli & Cheese Bites – Nutritious, Tasty and EASY! Keto Broccoli & Cheese Bites – Nutritious, Tasty and EASY! 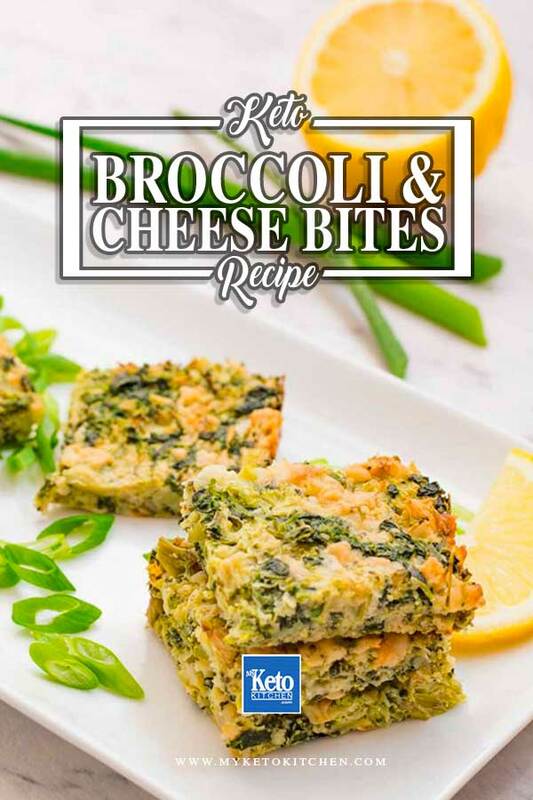 Presenting our Keto Broccoli and Cheese Bites recipe. Full of nutrient-dense green vegetables and high-fat cheese! These tasty little broccoli and cheese snacks are more delicious than you would think. The lemon zest adds wonderful freshness that make you want to eat more (I like them cold, straight from the fridge). We have experimented with cooking these little bites in a silicone muffin tray, they looked great, but the flavors were just too inconsistent for us to base a recipe on. 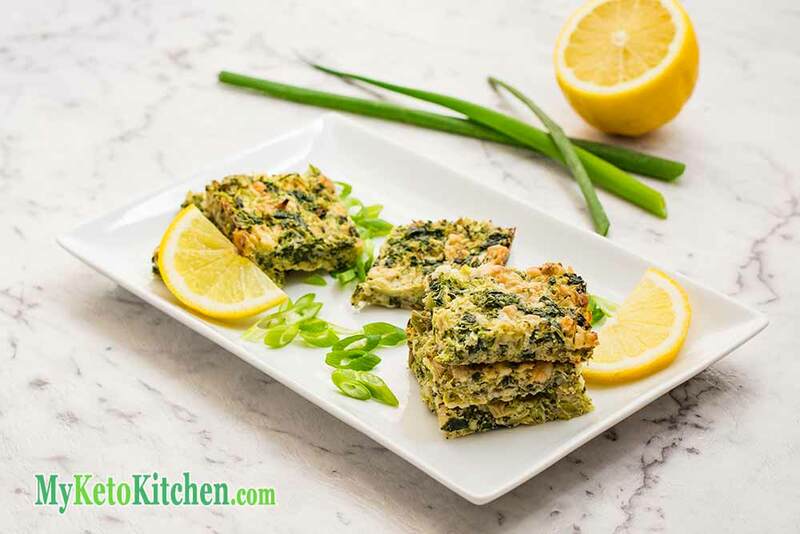 You are welcome to cook our keto broccoli and cheese bites in whatever tray you desire, we do recommend using a 11 x 7in rectangle brownie pan. More broccoli recipes you say! Start with our Low Carb Broccoli and Leek Soup, followed by our Low Carb Broccoli and Bacon Croquettes! Cut broccoli into evenly sized florets and place in a microwave-safe containerwith ¼ cup of water. Microwave on high for 3 minutes or until the broccoli is tender. Drain well and allow to cool. Enjoy the keto broccoli and cheese bites hot or cold. 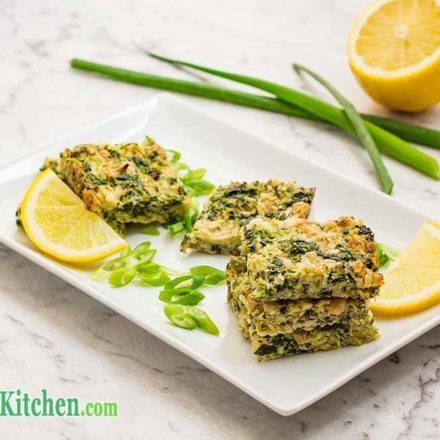 To make a larger batch of this keto Broccoli Cheese Bites recipe adjust the serving amounts above. The PERFECT low carb side dish! I feel like this could also be a great pizza crust or base for pizza dippers, amirite!? What a great idea Karly! These broccoli cheese bites look so yummy! We would love to see the recipe on WholeYum!